Gameplay is capped at 20 FPS. Right-click to Desktop and choose Properties. In Settings tab, choose 16-bit color quality and click OK.
Right-click on shortcut and choose Properties. In the Target area, add -window. Add a profile for <path-to-game>\At.exe. Tick Run in window in Main tab. Does not require setting 16-bit color quality in system settings. Enable borderless windowed mode by checking Modal Style in Video tab. 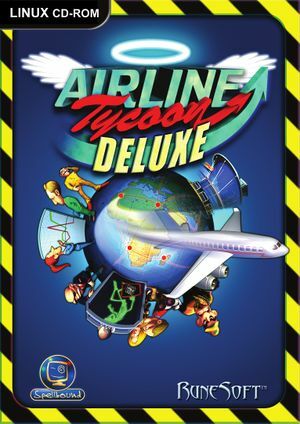 Fan translation based on official localizations of Airline Tycoon and Airline Tycoon Evolution, download. This page was last edited on 29 March 2019, at 02:52.